What Should I Expect When Visiting Yosemite in the Summer? You’ve planned all year for this trip. The kids are finally out of school and your bags are packed. Yosemite or bust! Yosemite National Park is beautiful. You’ll find the views this time of the year simply breath-taking. But the reality is many visitors are unwillingly spending more time in their cars then enjoying the trails due to congestion and parking issues. 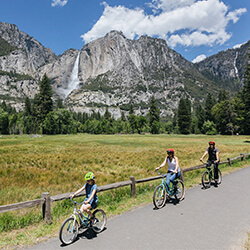 You can enjoy your summer visit to Yosemite by planning ahead, taking public transit options, and walking or biking as much as possible once you are in the park. If you don’t follow these tips be prepared for extensive delays while driving into and around the park. You may experience delays of an hour or more at entrance stations, and additional two- to three-hour delays in Yosemite Valley if you arrive during peak travel times. Avoid delays and difficulty finding a place to park by arriving early and taking any form of public transit you can – YARTS bus and free shuttle services. Visit on weekdays if at all possible as the weekends are very busy and parking lots will fill to capacity. Please read below for our top tips for enjoying Yosemite in the summer. 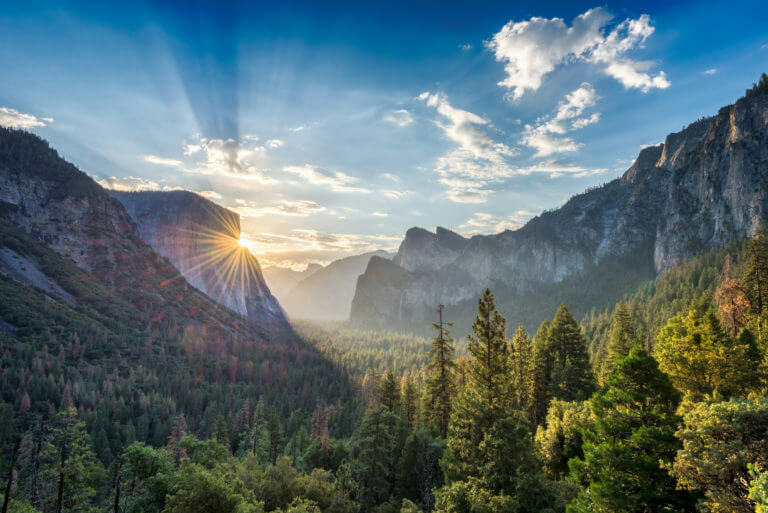 You can avoid traffic and parking hassles in Yosemite Valley by taking YARTS to Yosemite if your lodging is located outside the park in the communities of Mariposa, Midpines, Fishcamp or El Portal. You can find lodging options here. 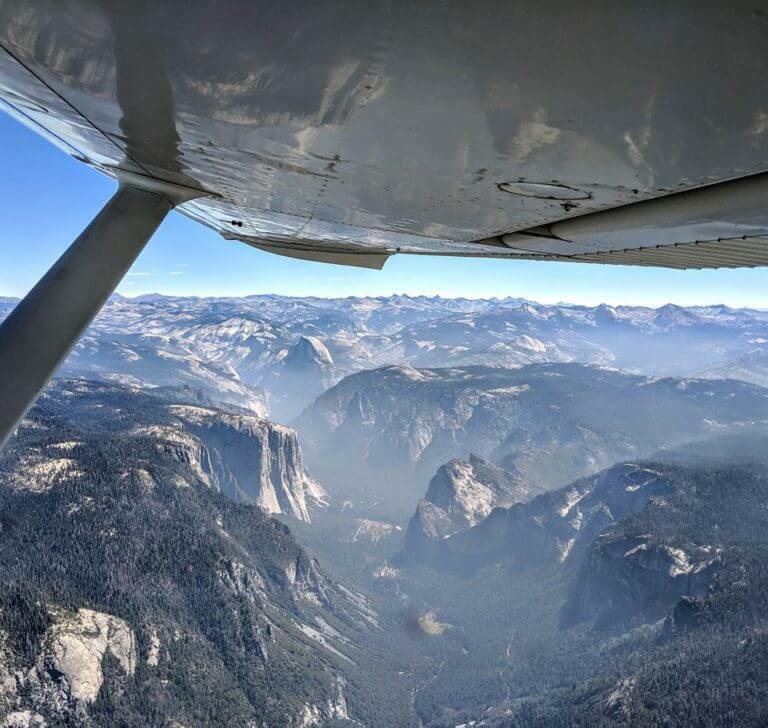 YARTS buses provide regularly-scheduled access to Yosemite from all gateway communities. The park entrance fee is covered by your bus fare. For more specific information on public transportation to and from Yosemite National Park, visit www.yarts.com. You don’t need your vehicle if you are staying outside the park and plan to visit just Yosemite Valley for the day and return to lodging at night. You can take YARTS in and out of the park. Once in the park you can walk, bike or take a free shuttle almost anywhere you want to go. Find a place to park before mid-morning and avoid driving after that time, if possible. If you’re staying at campgrounds in Yosemite Valley and Tuolumne Meadows, please leave your vehicles at your campsite and use the free shuttles. There are three major parking lots in Yosemite Valley: Yosemite Village Parking Lot, Yosemite Falls Parking Lot, Half Dome Village Parking Lot. Arrive early and find a parking space, plan to leave your vehicle there for the remainder of the day as you will likely not find another parking spot. Use the free shuttle service to get around which provides access to all locations within Yosemite Valley. If you have lodging or campground reservations, park your vehicle at your lodge or campground and ride shuttles. Biking is also a terrific option for getting around the valley floor. You can bring your own or rent them. Yosemite Valley is a must see! It provides some of the best views of Half Dome and it is where many of the best trails are in the park. However, if you have more than one day try to explore other areas besides Yosemite Valley. The best hiking in summer is off Tioga Pass in Yosemite’s High Country. Try a hike to Cathedral Lakes, May Lake & Mount Hoffmann or for the best view of Half Dome, head on the North Dome trail. Venture up to Merced and Tuolumne Groves of Giant Sequoias. 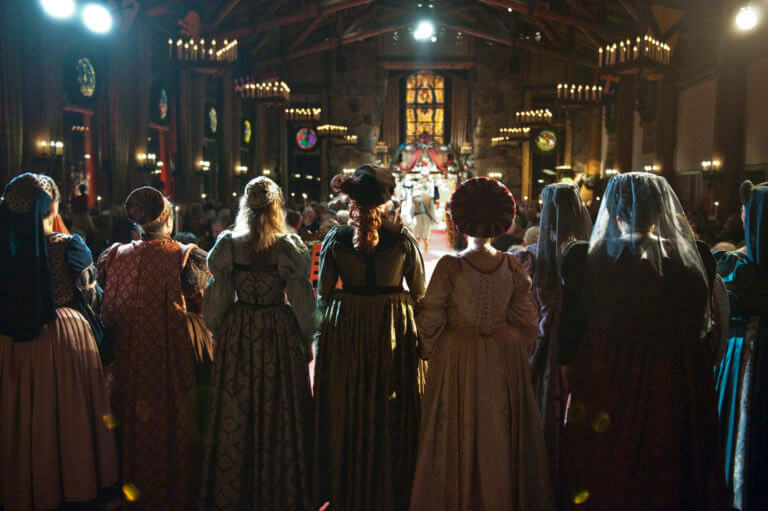 Or spend a day in Wawona hiking Chilnualna Fall or exploring the Yosemite Pioneer History Center. Consider arriving early and taking the Glacier Point Tour to Glacier Point and hiking back down to the valley floor via the Panorama Trail. This moderate, full day hike provides some of the best views of Yosemite Falls, Glacier Point Point, as well as Vernal and Nevada Fall. For full-day, more strenuous hikes consider the Upper Yosemite Falls Trail or Four Mile Trail. The most popular hike in the valley is the Mist Trail, so if you want to do this hike start early to avoid crowds. Visit the historic town of Mariposa for great dining, shopping, and world-class museums and activities. • Visit in autumn, winter or spring. Did you know the best time to see waterfalls is April-June? Or that in February Horsetail Falls is transformed by the setting sun into a “firefall” that photographers flock to see? How about that the best season for hiking Yosemite is September-October because trails and passes are generally open, fewer crowds and cooler temperatures? Learn more about the best time to visit Yosemite in our blog post. • Bring plenty of food and water for potential delays and stop and use restrooms when they are available. Discover what to pack. • Park your vehicle for the duration of your stay. Driving from site to site increases traffic congestion and can cause frustration for you and your passengers. • Ride the free shuttle buses to enjoy Yosemite Valley most easily once parked. 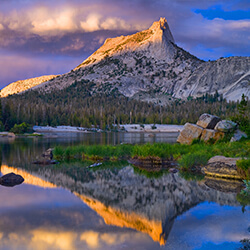 • Arrive early and stay late, and visit Yosemite during the week. • Enjoy the entire Yosemite region—consider visiting gateway communities such as Mariposa, Coulterville, Midpines, and Fishcamp. • Ride a YARTS bus to enter the park.